Greg Kish is in his third year as Vice President of Suite and Ticket Sales on the Los Angeles Stadium project with Legends. In this position, Kish is responsible for the oversight of all LA Stadium ticketed revenue streams as well as the focused service support for said revenues. Leading up to this role, Kish served as General Manager of the NFL Relocation Project for Legends in 2015, playing a key part in relocating an NFL team to Los Angeles. 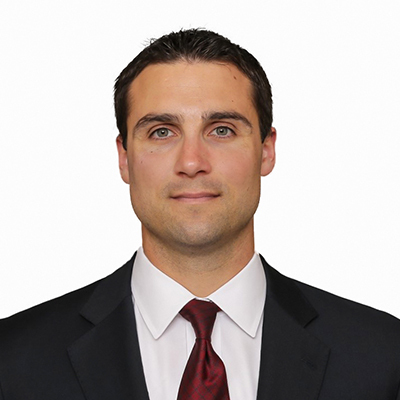 Prior to investing in the Los Angeles market for the NFL, Kish worked with the 49ers on the Levis Stadium project most recently as the Director of Premium Sales and Service. His primary responsibilities were to oversee a number of key revenue streams inclusive of Suites, SBLs, Game Day Hospitality, 3rd Party Event Hospitality, Tours and Bourbon Steak and Pub @ Levi’s Stadium while also focusing on the service initiatives for each. Kish first came to Santa Clara in 2011 as a Sales Manager for Legends working with the 49ers to oversee a seat license campaign that generated over $500Million. As part of the campaign, Kish was responsible for strategizing and executing the seat sales process along with the hiring and training of over 40 sales professionals. Before officially joining Legends in Santa Clara, Kish started with the Dallas Cowboys in 2007 as a Sales Consultant for AT&T Stadium directly selling premium seating with a secondary focus on new hire development. In his time there, the sales team executed the highest one team PSL campaign in sports history generating over $600 Million in revenue. A native of Southern California, Kish began his sports career in 2006 with Mandalay Sports Entertainment as a Corporate Marketing Manager with the Frisco RoughRiders focusing primarily on outside sales. Kish received his Bachelors in Business from the University of Hawaii where he was a First Team All-Western Athletic Conference baseball player and assistant coach in his time there.